Rich body & massage oil Complex with long lasting Amber perfume. Apply small amount to the desired skin areas & massage gently absorption. 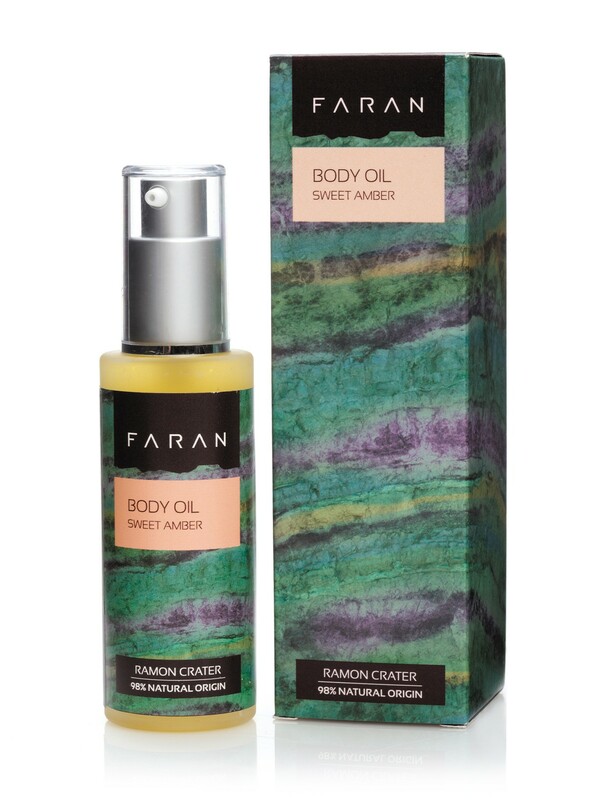 Smoothed over the body after your evening shower this invigorating, nourishing, oil will leave you feeling spoiled, pampered and relaxed. Its long-lasting, Sweet Amber, fragrance guides an exotic, romantic and sensual experience. A few drops in bath water promise a soothing, relaxing and romantic atmosphere. Suitable for massaging and as body oil for regular to dry skin. 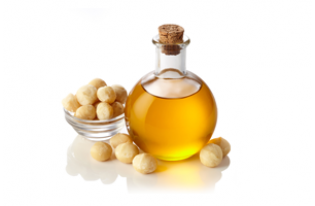 Macadamia oil is rich in Palmitoleic fatty acid (~20%) which is common in animal oils but rarer in plant oils. Its great advantage is in being resistant to oxidation and this means that it is also long lasting providing a thick, nourishing ‚??padding‚?? for dry/mature skin. This oil also helps in fixation of odors. Avocado oil is rich in vitamins A, B and D as well as lecithin plus essential fatty acids (vitamin F). Clinical tests have attested to the fact that avocado oil is more readily absorbed into the skin than most oils used in cosmetics. 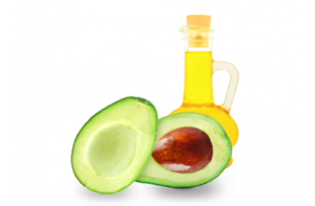 Avocado oil is recommended for dry skin and mature skin. It is known to soothe sensitive skin. 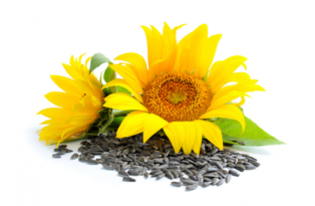 Easily absorbed sunflower seed oil has outstandingly enriching qualities. It helps with moisture balance, renewal and softening the skin. It is particularly suited to normal to dry skin, sensitive, damaged and mature skin. 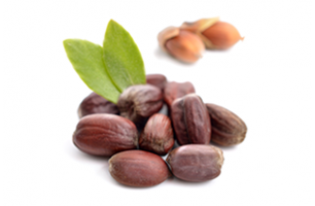 It is rich in essential fatty acids, vitamins & Oleic acid that help to extend the shelf life of a product.